Brian Hagedorn says a recount in the race for Wisconsin Supreme Court would be a waste of time. Hagedorn tells WISN’s Jay Weber this morning that his lead in the race is durable. “The initial canvasses that have come in have us picking up additional votes. We are over 6,000 at this point. The state Court of Appeals judge says he spoke with Chief Judge Lisa Neubauer over the weekend. “They’re waiting for the canvassing to be completed, and that she would make a decision about what she wants to do after that.” If Neubauer asks for a recount, she’d need to make that decision by Monday. Initial vote counts had the conservative Hagedorn beating the liberal Neaubauer by several thousand votes. Johnson, who chairs the Senate Homeland Security and Governmental Affairs Committee, also issued a statement Sunday, on news that Homeland Security Secretary Kirstjen Nielsen had resigned. Newly elected Wisconsin Governor Tony Evers delivered his first State of the State Address Tuesday evening at the state Capitol in Madison. The Democrat who defeated Republican Scott Walker in November hit on a number of areas that he has identified as critical to the residents of the state, including good paying jobs, adequately funded K-12 education, accessible and affordable healthcare, a solution to the state’s transportation funding dilemma, clean water, and a middle class tax break. Evers will propose his own version of a state budget. Republicans in the legislature have indicated that they will prepare their own version of a two-year spending plan. In his remarks before a joint session of the Republican controlled legislature, the Democratic governor said that fixing the state’s economy remains a priority, even as Republicans point to record low unemployment and demand by employers seeking to fill job vacancies. Evers, who previously served as the state’s elected Superintendent of Public Instruction, said he’ll submit a budget that will return to providing two-thirds state funding to K-12 school districts in Wisconsin. He’ll also include additional money — a $600 million increase — in special education funding. Evers also said he’ll address the state’s glaring achievement gaps. We’re going to get to work on closing the achievement gap for low-income students and students of color. Our state’s achievement gap is among the highest in the nation in reading and math scores. As State Superintendent, I submitted proposals that would’ve helped address our state’s achievement gap. Unfortunately, most of these proposals never made it through the Legislative process. I believe this is the year they will. The governor also said he will propose a substantial increase in spending on K-12 mental health services. 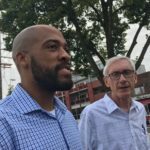 On health care, Evers said the “People’s Budget,” which he developed during listening sessions around the state with Lieutenant Governor Mandela Barnes, will seek to expand Medicaid in Wisconsin. That’s something that Republican legislative leaders have signaled is a non-starter. According to the nonpartisan Legislative Fiscal Bureau, this will enable an additional 76,000 Wisconsinites to have access to affordable healthcare. This would also save Wisconsin taxpayers hundreds of millions of dollars, allowing us to reallocate those cost savings to other critical programs. Evers also announced that he’ll direct Attorney General Josh Kaul to withdraw from a multi-state lawsuit which seeks to overturn the Affordable Care Act. It’s unclear whether Kaul will be able to do that, due to restrictions on his authority passed in December by a lame duck session of the legislature. Evers said he’ll also address the state’s transportation funding crisis, with the help of his pick to lead the Department of Transportation, Craig Thompson. Thompson, a transportation lobbyist, will need to be confirmed by the state Senate. Evers also said he’ll declare 2019 as the Year of Clean Drinking Water in Wisconsin, and designate a person in the Department of Health Services to take charge on addressing Wisconsin’s lead crisis and to help secure federal funding for prevention and treatment programs. And Evers, who campaigned on a promise to provide a middle class tax cut, said again that he would pay for it by capping a tax break for agriculture and industry. We’re going to cut taxes by ten percent for everyone making up to $100,000 and families making up to $150,000. But we’re not going to do it by spending money we don’t have or that might not be there in two years. I don’t make promises I can’t keep, and I’m not going to propose things that we can’t pay for. So instead, we’re going to fund tax relief for hard-working families by capping a corporate tax credit, 80% of which goes to filers making more than $1 million a year. Republicans have already proposed using the state surplus to provide that tax break. Assembly Speaker Robin Vos provided the Republican response to Evers’ remarks. That’s going to mean working with Republican leaders in the legislature, Assembly Speaker Robin Vos and Senate Majority Leader Scott Fitzgerald. Inaugural ceremonies for Evers, Lieutenant Governor Mandela Barns, Attorney General Josh Kaul and other constitutional officers begins at 11:00 a.m. in the state Capitol. U.S. 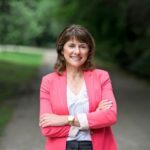 Senator Tammy Baldwin and here Republican challenger, state Senator Leah Vukmir, drew stark contrasts between one another during their first debate Monday at the University of Wisconsin-Milwaukee. Baldwin and Vukmir argued about health care, immigration, the #MeToo movement, and abortion during the hour long debate. Their exchanges grew the most heated over the scandal at the Tomah Veterans Affairs Medical Center, where opioids were over prescribed to veterans. Baldwin is seeking a second term in the U.S. Senate, after defeating former Wisconsin Governor Tommy Thompson in 2012. 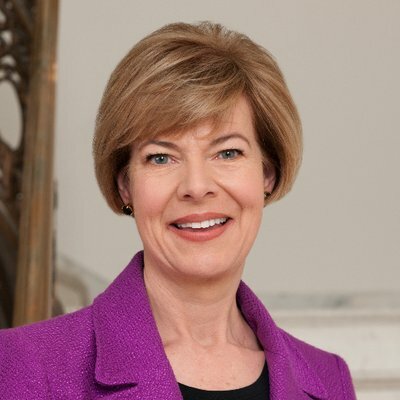 Prior to that, she served from 1999-2013, representing Wisconsin’s 2nd congressional district. She also served in the Wisconsin state Assembly from 1993-1999. Vukmir is a registered nurse and pediatric nurse practitioner. She currently represents the 5th district in the Wisconsin State Senate. She previously served in the state Assembly from 2002 to 2011. Vukmir was first elected to the 14th district seat after Scott Walker was elected Milwaukee County Executive. She and Governor Walker remain close political allies. The next U.S. Senate debate is Saturday, October 13th at the UW Center for Civic Engagement on the UW-Marathon County campus in Wausau. The third and final debate will be Friday October 19th at Marquette University in Milwaukee. Flood damage in Dane County exceeds $100 million. County Executive Joe Parisi said Friday the initial assessment totals $108 million, with about two-thirds of the total to private homes and businesses and a third to public property. 859 reports to 2-1-1 from private homes & businesses – $69 mil. Public Sector – $38 mil. So far, 859 reports have been made to United Way of Dane County, which gathers damage reports. Much of the damage to date has been concentrated in western Dane County. But that could change if more rain falls as expected. Madison city officials are moving to long term mitigation of the flooding along the Yahara river and Lake Monona. Mayor Paul Soglin said officials are less worried about flash flooding, and more worried about the rising level of the lakes. “It’s going to have the water that hits the lake and river pushing water back into the storm sewers, and with no place to go, it’s going to rise into drains and basement floors,” the Mayor said. Parts of the Isthmus are already seeing standing water, and major roads are expected to be closed for at least a week if not more. Soglin says this is a situation with will simply take time to sort out as water heads out of Lake Monona. 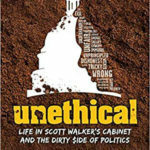 A book from a former state cabinet member has been released, days before the election. 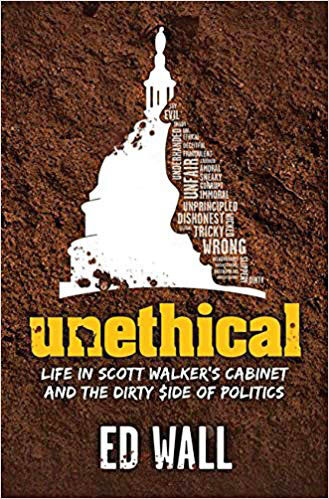 Former Corrections Secretary Ed Wall is highly critical of Republicans, Governor Scott Walker and Attorney General Brad Schimel. In a statement to the Journal Sentinel, Schimel stood by his handling of Lincoln Hills, and stressed Wall was fired for “dishonesty.” He blamed Wall for the trouble at Lincoln Hills. A fiery plane crash in Green County killed four Kenosha residents Sunday. The plane made a hard landing in a field north of the Monroe airport. Green County Sheriff Mark Rohloff said the family on board had ties to the area. grandmother was piloting the plane with her daughter and two teenage grand kids on board. A 911 call just before noon said the plane was losing power. It was fully engulfed in flames when it hit the ground. Rohloff says the two young people who died in the crash were a boy, 13, and a girl,17. No names have been released. Rohloff said the pilot was familiar with the airport and had flown there before.